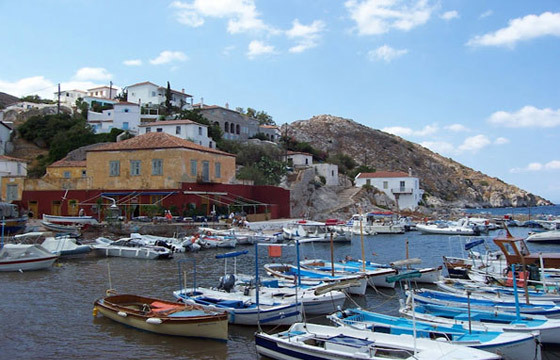 Next to the settlement of Kamini and just twenty minutes away on foot from the harbour of Hydra to the west, we encounter a pair of adjacent small pebbled beaches with light blue clear waters, Megalo and Mikro Kamini. Megalo kamini is the first to find between the settlement’s port and Vlychos beach while Mikro Kamini is right next to it. The beaches are not organized but their shallow waters make it ideal for families with young children. They also provide various accommodation and dining options such as rooms to let and taverns in the settlement right above.